At Optiview we've developed an enclosed weatherproof DVR or NVR system for use in locations that is powered by the sun for installation in areas where hard wired power and a traditional security system set-up is unavailable. Our weatherproof solution contains a 4, 8 or 16 channel 4K HD DVR or 8 channel NVR within a NEMA3 rated enclosure. The aluminum enclosure has a specialized lock for security and stays at an ideal temperature with the inclusion of insulation, a thermostat and fan. A 10" LCD monitor is mounted inside for on-site viewing although video can be viewed live or in playback mode via our free VMS software on a PC or via our free mobile app. 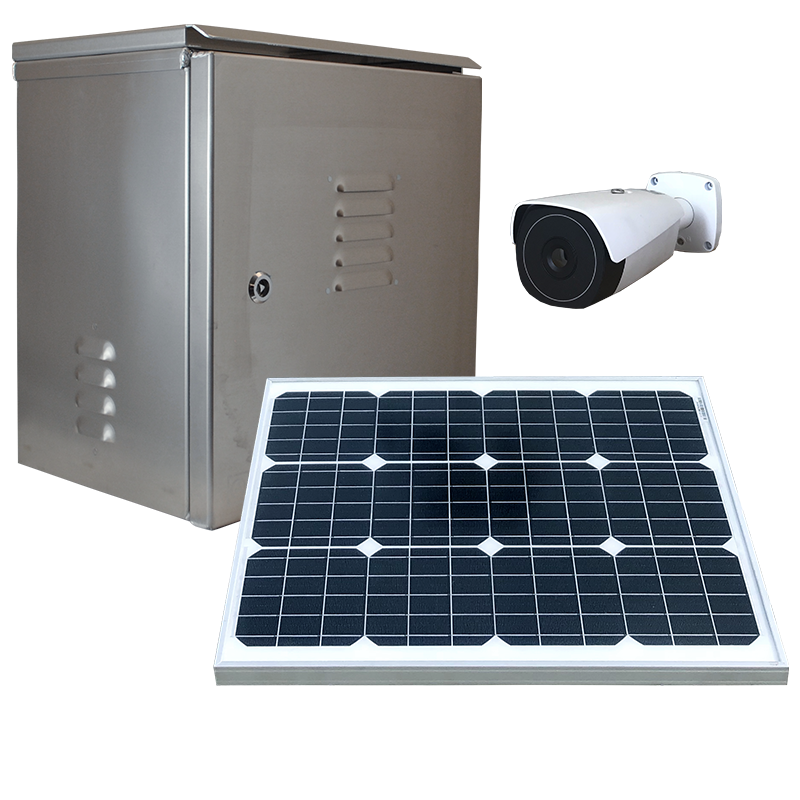 Contact your Optiview Account Manager for more information and for a quote to have your custom solar powered surveillance solution built.